A good way to remove blood from your carpet is by using hydrogen peroxide. This technique can only be used on light colored carpets. 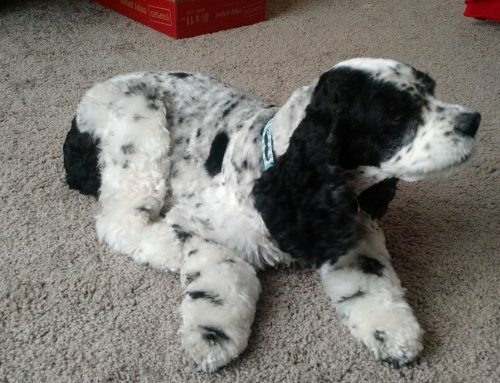 Hydrogen has the ability to bleach carpet if it is a darker color. Make sure the blood stain is fresh for this technique otherwise it will not work. Immediately soak the most blood up with cold water and then use a small amount of hydrogen peroxide to dab up the blood stains. After the blood has come out, rinse the area again with cold water and soak up excess water. This technique is only appropriate for fresh blood stains. It is in fact effective in how to remove blood from your carpet. 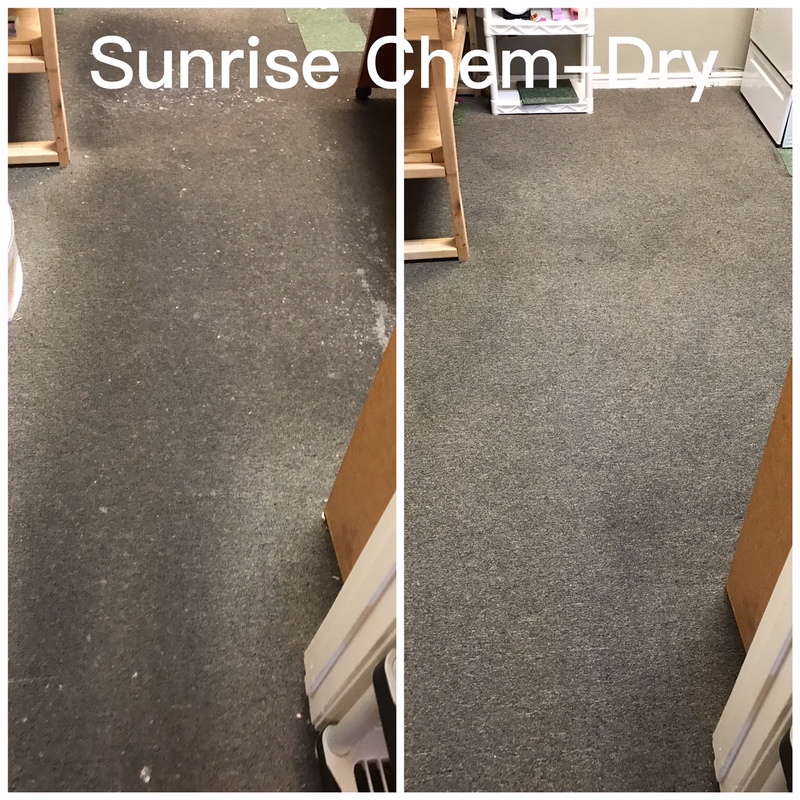 Sunrise Chem-Dry is versed in how to remove blood from your carpet. A product sold by Chem-Dry is called Oxy Spotter which is a deep stain remover product. This product has proven to be effective in removing blood from your carpet. Sometimes blood stains are larger than expected which require extra work and treatment. I will now be explaining how to remove blood from your carpet that involves a very large amount of blood. If a blood stain is very large or a lot of blood has caused a deep stain a carpet re-patching may be necessary. 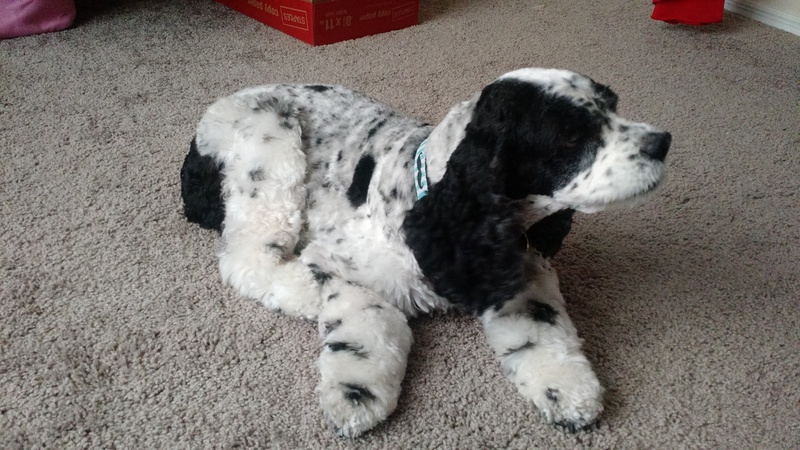 Sunrise Chem-Dry has trained professionals to take care of carpet re-patching needs. Rather than replacing your entire room of carpet a re-patching can be done which will save you a ton of money in comparison. 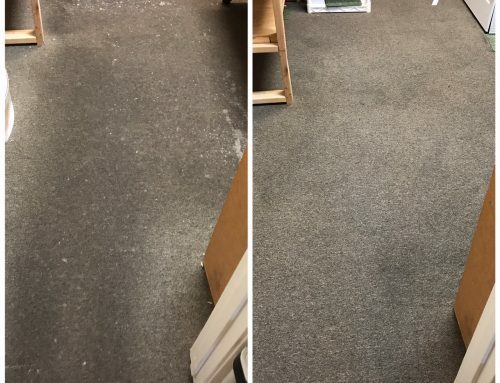 What is the process on how to remove blood from your carpet with carpet re-patching? A technician will use extra carpet that you have or remove a portion of carpet from an inconspicuous place in the home and replace it with the carpet we keep on hand. This is to confirm that the same type of carpet is being used to cover the stain. They will cut out the portion of carpet that has a stain as well as the padding. Then the matching carpet and padding will be put into place and secured. Make sure you are only using cold water when dealing with blood stains! This is very important due to the spread of color that could occur if warm or hot water is used. It is important to not let the blood contaminate more carpet than it already has. We here at Sunrise Chem-Dry also recommend always sanitizing the area where a blood spill has occurred. Sunrise Chem-Dry wants to provide you with the best tips for a healthy and safe home! Do not believe that the only way to fix your carpet is by replacing the entire thing. Use these how to remove blood from your carpet tips the next time an accident occurs. 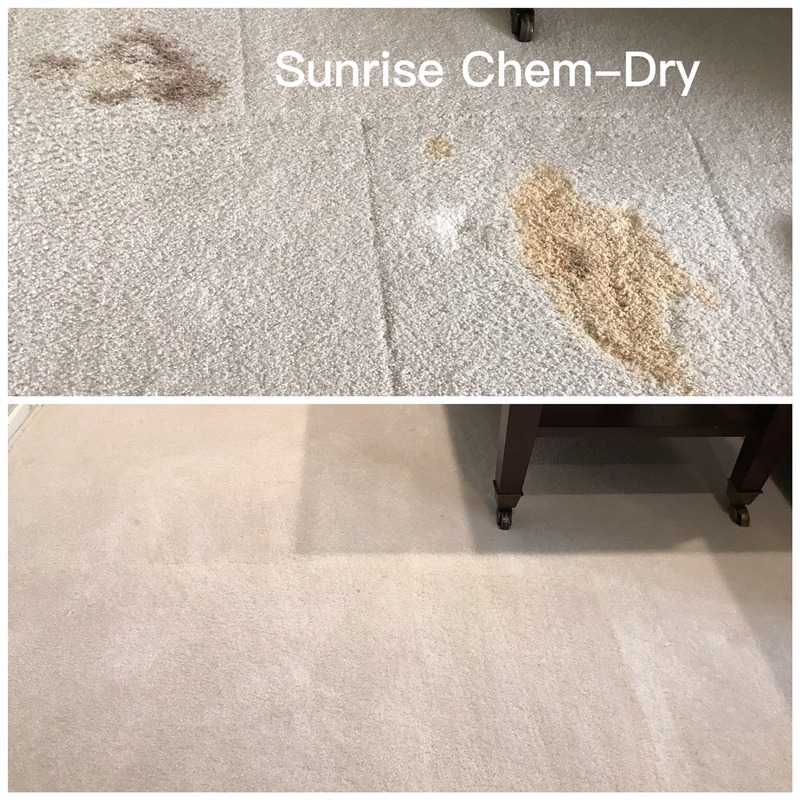 Sunrise Chem-Dry will make sure all blood is removed from your carpets!